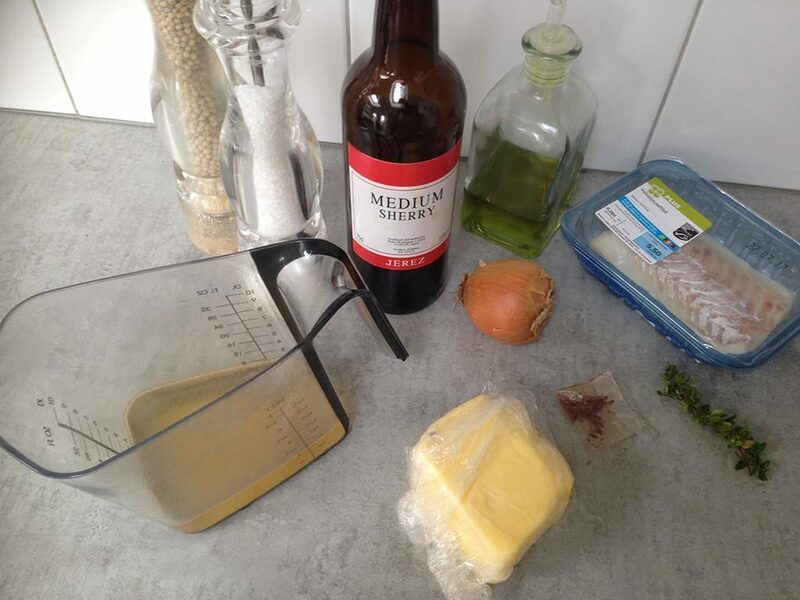 Cod with saffron sauce is a delicious weekday meal. 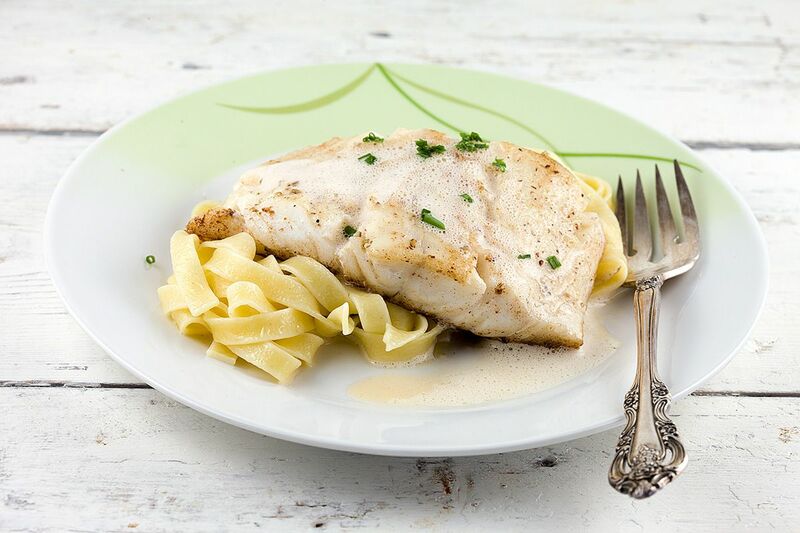 Tasteful, creamy and fluffy sauce without cream that's ready within 20 minutes. PEEL and finely chop the onion. HEAT a knob of butter in a small saucepan and sauté the onion and saffron threads for a few minutes. When the onion starts to get glossy, also ADD the sprig of thyme. POUR in the sherry and cook it shortly on medium-high heat. Also POUR in the fish stock and let it reduce to about half. HEAT butter and a splash of olive oil in a large skillet. 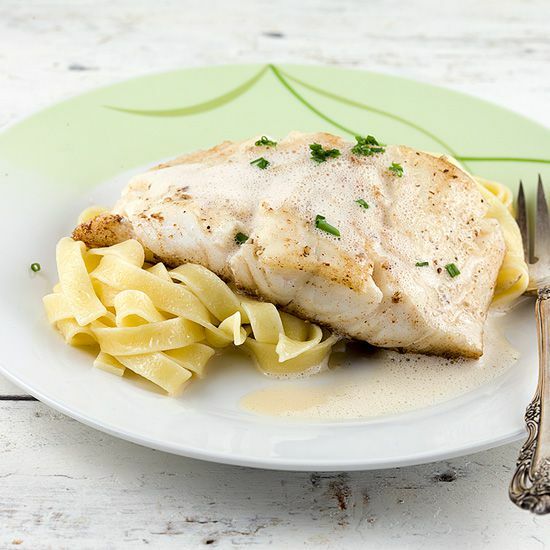 PAT the cod fillets dry using paper kitchen towels and season them with pepper and salt. COOK the fillets a few minutes on each side, until both sides or golden brown but the inside is still soft. FINISH the sauce by pressing it through a sieve and then start adding cold butter cubes to thicken the sauce. ADD the next butter cube when the previous one has been dissolved and use an immersion blender to stir so you’ll end up with a fluffy sauce. SEASON with pepper and salt and serve immediately. 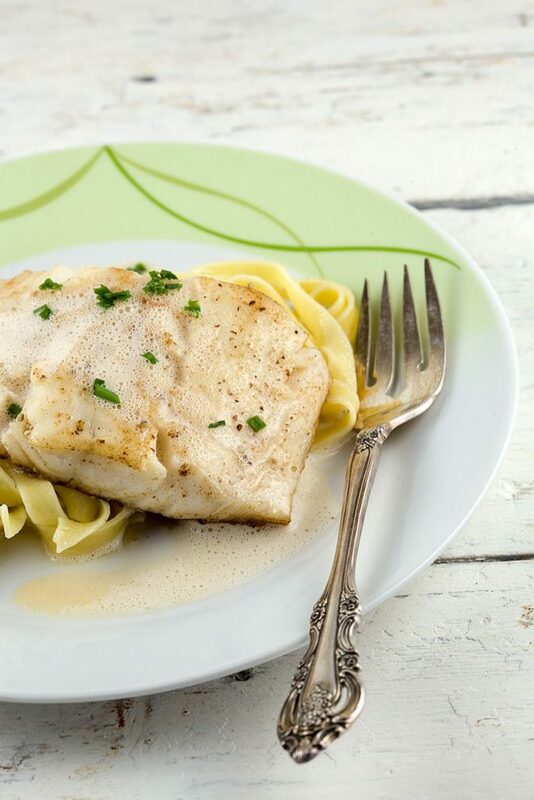 SERVE the cod fillet with saffron sauce en optionally with tagliatelle, flat beans or other veggies of your choice. Enjoy!